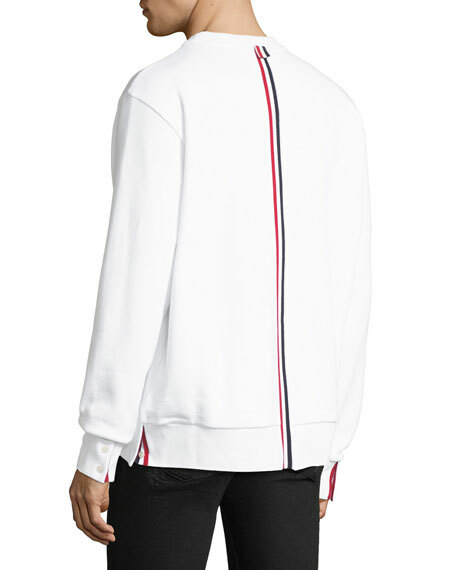 Thom Browne hoodie with tricolor loopback detail. ATM Anthony Thomas Melillo French-terry hoodie. Drawstring hooded collar; zip front. Split kangaroo pockets. Ribbed cuffs and hem. Cotton/polyester. Imported. ATM Anthony Thomas Melillo French-terry hoodie. Drawstring hooded collar; zip front. Split kangaroo pockets. Ribbed cuffs and hem. Cotton/polyester. Imported. 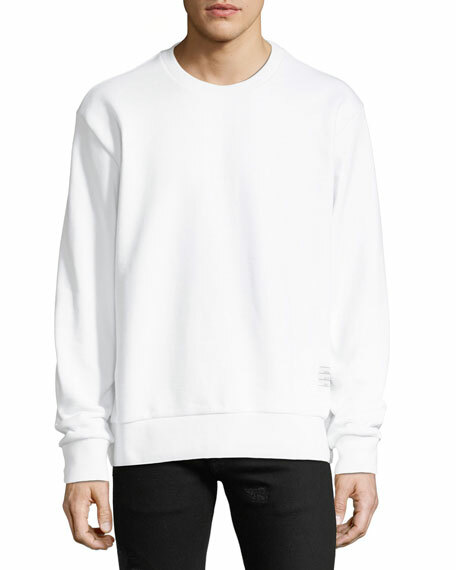 Model's measurements: Height 6'1"/185cm, waist 32"/81cm, typically wears size M.
ATM Anthony Thomas Melillo felted wool-blend sweatshirt. Fixed hood with drawstring. Two-way zip front. Shirt-style cuffs. Side-entry zip pockets. Ribbed hem. Wool/nylon. Imported. 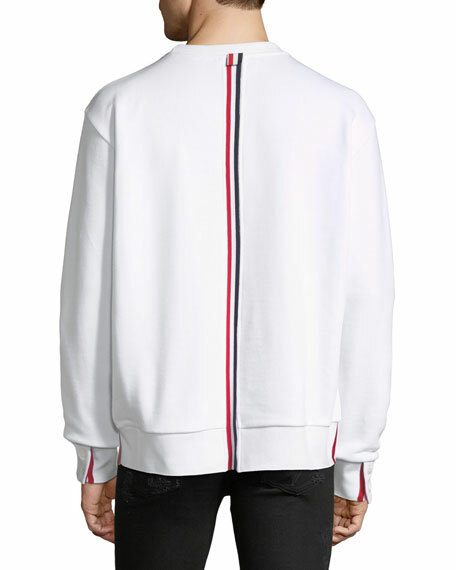 Model's measurements: Height 6'1"/185cm, waist 32"/81cm, typically wears size M.
Moncler knit hoodie with contrast logo patch at left chest. Hooded collar; zip front. Long sleeves. Ribbed trim. Welt pockets at sides. Base fabric: cotton. Outer application: polyester. Imported.